The highly sustainable scheme, devised for LBS Properties and Meridian Property Holdings, will provide over 400 private and affordable homes. The slender form enables 70% of the site to be dedicated to new public realm providing access to a cafe, public gardens and a children’s playground. 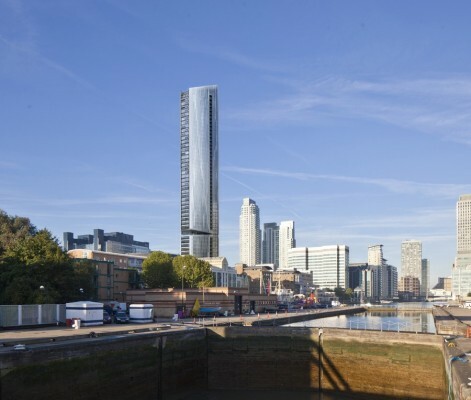 Make’s proposal for a residential-led tower at Meridian Gate on the Isle of Dogs was submitted for planning last week. 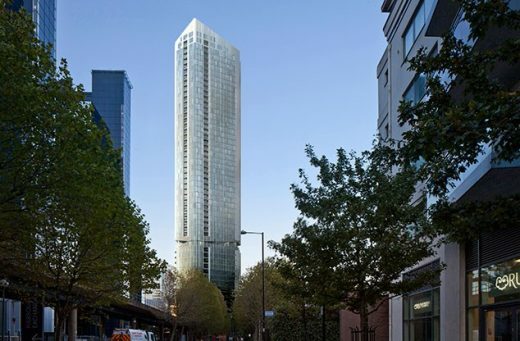 The scheme, prepared for Meridian Property Holdings Limited and LBS Properties, will provide a high quality, residential-led, mixed-use development consisting of approximately 400 one, two and three-bed apartments, and will include on-site affordable homes. Approximately 70% of the site will be dedicated to the provision of publically accessible gardens and a children’s playground. 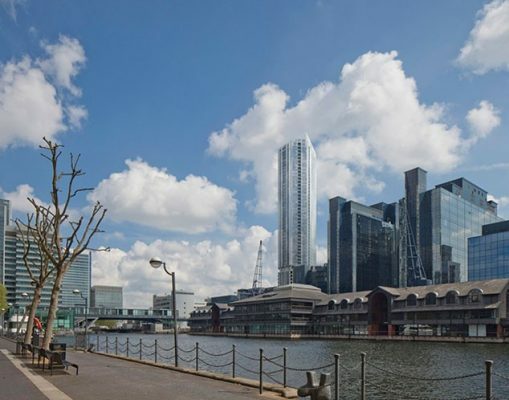 The site is located beside West India Docks and is one of several sites that form the Marsh Wall East masterplan study area. 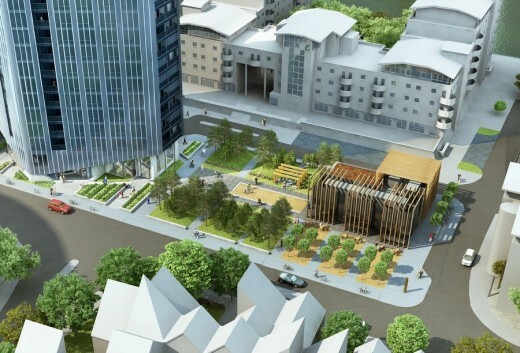 The proposals for Meridian Gate aim to provide better permeability, more open space and better access to the waterfront – these are some of the key aspirations of the wider plans for the redevelopment of Marsh Wall East. 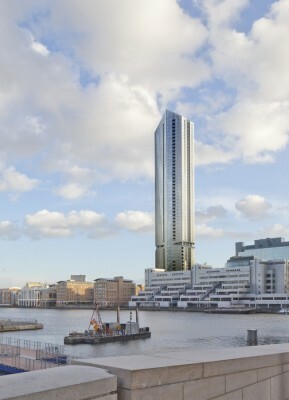 In accordance with Tower Hamlets’ policy and the Mayor of London’s guidelines, the site has been identified as suitable for a tall building and, at 53 storeys, the proposal establishes an intermediate scale between the taller Canary Wharf cluster to the north and other tall buildings to the south.